It was pretty darn fun imitating Bruce Lee and Jackie Chan and Jean-Claude Van Damme. Throwing those punches and kicks in the air, knocking out imaginary bad guys sure would get our imagination running. And even as we grew up, fight sequences in movies only got cooler and better. Fancy having a go at them yourself? Boxing will have you out of breath in a minute, but continue with it regular and it will build excellent stamina. Not to forget the speed, strength and resistance. And if not anything else, those cool big gloves will keep bringing you back to the ring. Jiu Jitsu is practiced as an art rather than a combat method. While mastering it is important to have no ego, and realise the space for self improvement. Jiu Jitsu will definitely make you calmer, happier and a more patient person. MMA is a sport which requires deep concentration. It will have you drenched in sweat and sore, but that won’t stop you from going back to the gym, ready to spar. MMA builds immense confidence. Kickboxing will allow you to let out that rage, that stress that was building up through the day. Kick, and punch your frustration in the face. Karate helps your ability to be better at a sport, by developing agility, balance and coordination. Karate involves the entire body and is good system of self defence. 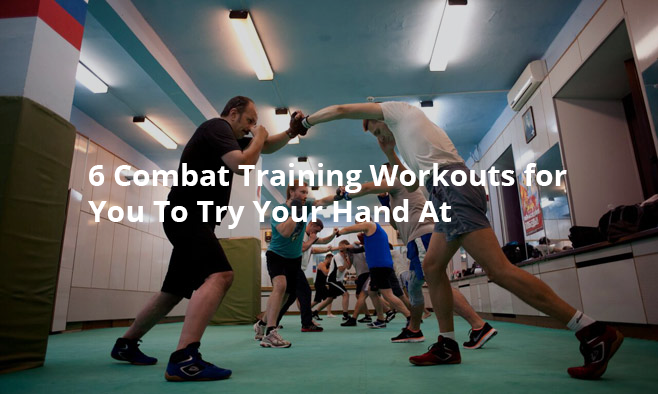 Fend off all types of violent attacks with Krav Maga. Krav Maga develops a complete understanding of your surrounding, and you react and improvise to situations quickly. Krav Maga is excellent for self defence. We at fitpass want you to try your hand at all these workouts, to learn the punches and kicks and also gain some strength through it. Get in that ring and test yourself. Sign up with fitpass.